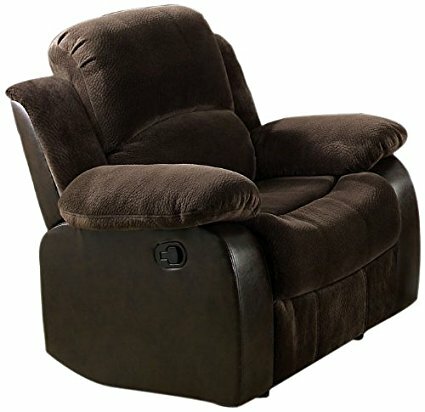 Destined to become your favorite, the Masaccio recliner does it all. It is upholstered in a two tone fabric. A smooth brown champion fabric that is embraces your body and provides relaxation from head to toe. The dramatic back wings and cozy pillow arms add a contemporary appeal. Oversized cozy seating, hand latch recliner,and a full reclined seated positions.